Sometimes called purple queen, purple heart (Setcreasea pallida) is a low-growing tender perennial grown for its showy violet leaves and sprawling, dark-purple stems. It grows in U.S. Department of Agriculture plant hardiness zones 7 through 11 and it's usually used as a ground cover or container plant. Purple heart needs little care, but providing some general maintenance will keep it looking its best. Although highly drought-tolerant once established, purple heart will look tidier and more lush if it gets regular water in summer. Water it weekly from spring until fall, providing 1 inch of water each time. 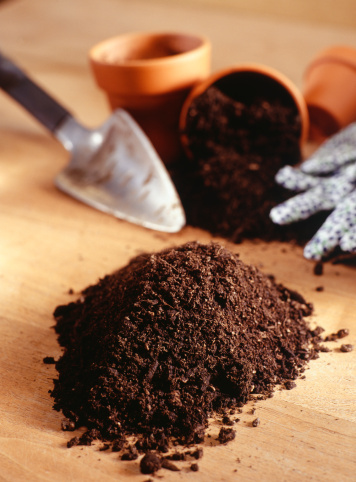 Allow the soil to dry out on the surface between waterings to keep the roots healthy. During times of extreme heat or drought, increase watering to twice weekly if the soil is drying out faster than normal. Reduce watering to once every two weeks in winter and provide no water during rainy weather. Pot-grown purple hearts should also be watered whenever the soil dries on the surface. Water until the excess flows from the drainage holes of the pot. Always use pots with drainage holes for this plant. Purple heart uses its soil nutrients efficiently and requires little supplemental fertilizer. Potted plants or those grown in poor or especially fast-draining soil may need a boost of nutrients during the active growing season to enhance their lush, violet foliage. Dissolve 1/2 teaspoon of general-purpose, 15-15-15 ratio fertilizer in 1 gallon of water. Apply the solution monthly and watch for pale or washed out-looking foliage, which is a sign of overfeeding. 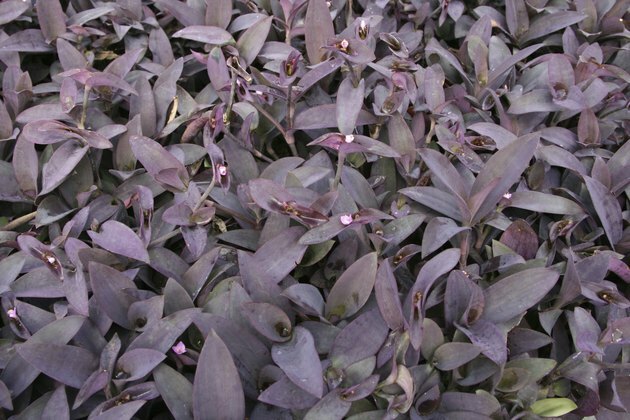 Reduce feeding to once every two months if the purple heart's foliage turns pale or if it starts producing an abundance of leggy, weedy growth. Among purple heart's most positive attributes is its gracefully trailing habit and vigorous growth. This is also one of its greatest drawbacks because can quickly overtake a bed or produce spindly, unattractive growth if left unpruned. Pruning purple heart should be done in spring or early summer just after it finishes flowering. Remove up to two-thirds of the growth to promote a fuller, bushier appearance and encourage more blooming. Before pruning, soak your shears in a solution of equal parts water and rubbing alcohol or full-strength household disinfectant for five minutes and then rinse the blades. The pruned stems can be discarded in a green waste can or used to propagate new purple heart plants. Purple heart doesn't have serious pest or disease issues if it is grown under the right conditions, making it a smart choice for a low-maintenance yard. But it does have some significant drawbacks that may cause issues in your garden. Its vigorous growth may become invasive in warm, frost-free climates. Keeping it pruned helps limit its spread, but it may also require inorganic mulch or an underground root barrier to keep its roots from spreading. Another issue with purple heart is its foliage, which may irritate the skin. Growing it in a pot will address both concerns, as long as the pot is kept away from where people might accidentally brush against it.